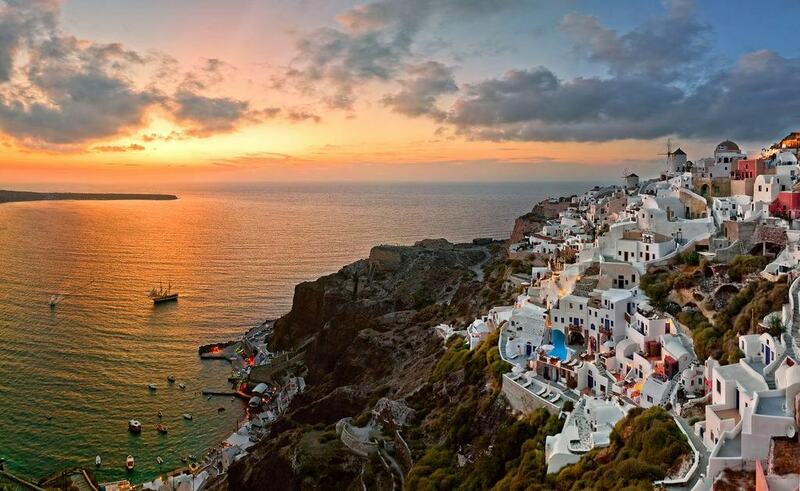 Words are not enough to describe a magical place like Santorini. 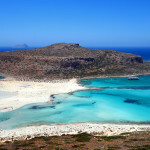 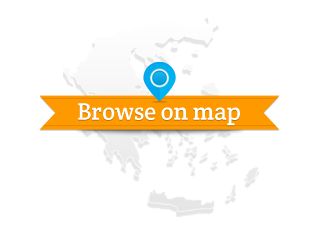 It would seem unnecessary too, given that it ranks steadily among the world’s best destinations–a Greek islands’ pride. 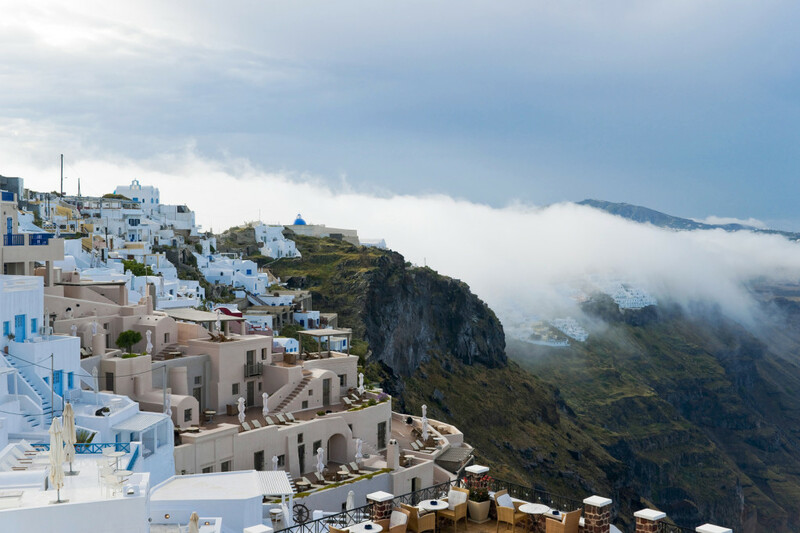 Dazzling, cosmopolitan and romantic, Santorini emerged from the volcano that shook the archipelago back in 1600 BC, during one of the most powerful eruptions in history. 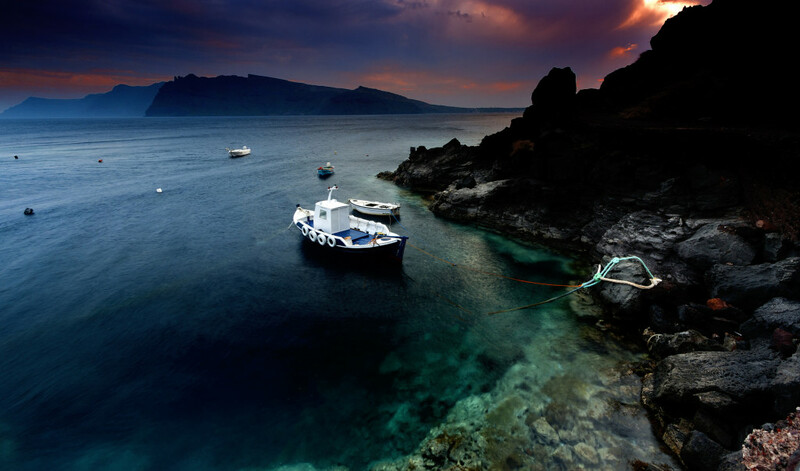 The large crater under the sea formed the caldera that dominates the island’s particular landscape, well-known all over the globe. 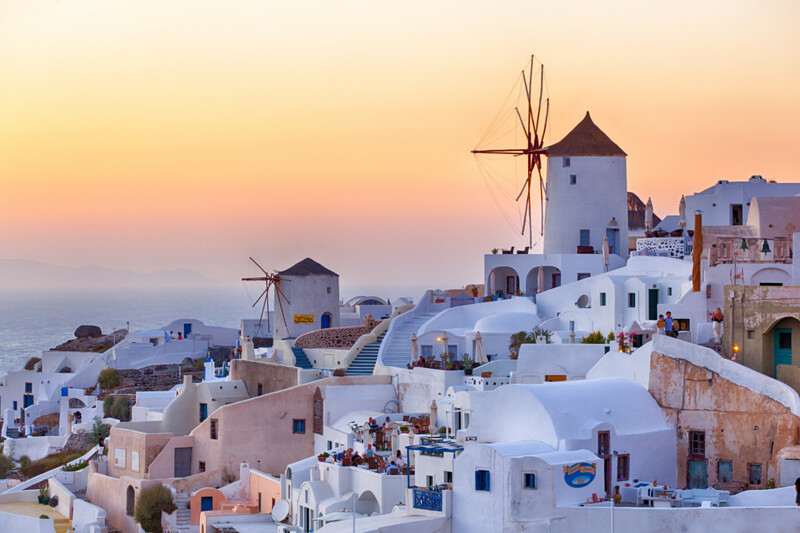 Santorini is also famous for its spectacular sunset, ancient monuments, nightlife, hospitality and trademark Cycladic architecture. 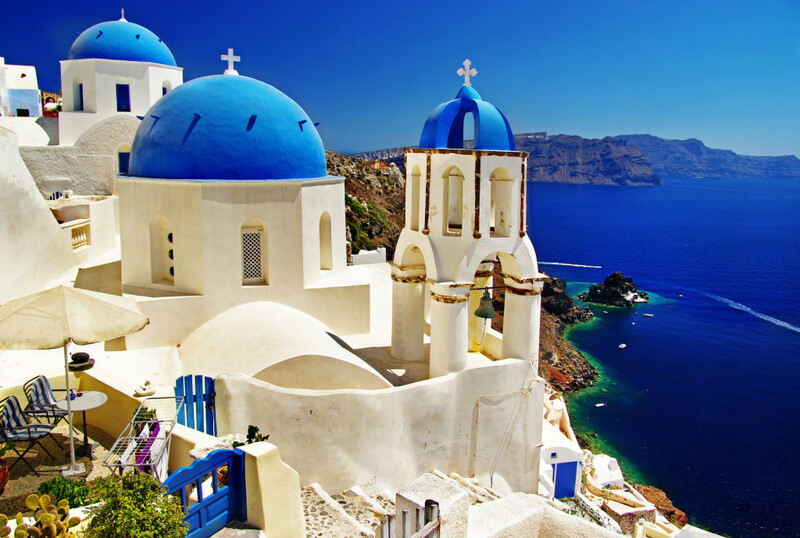 All year long it welcomes every type of visitors, offering high quality services for various budgets, although it’s generally pricey. 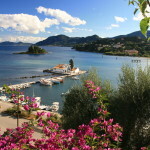 Touristic development is omnipresent, but hasn’t harmed the island’s charm. 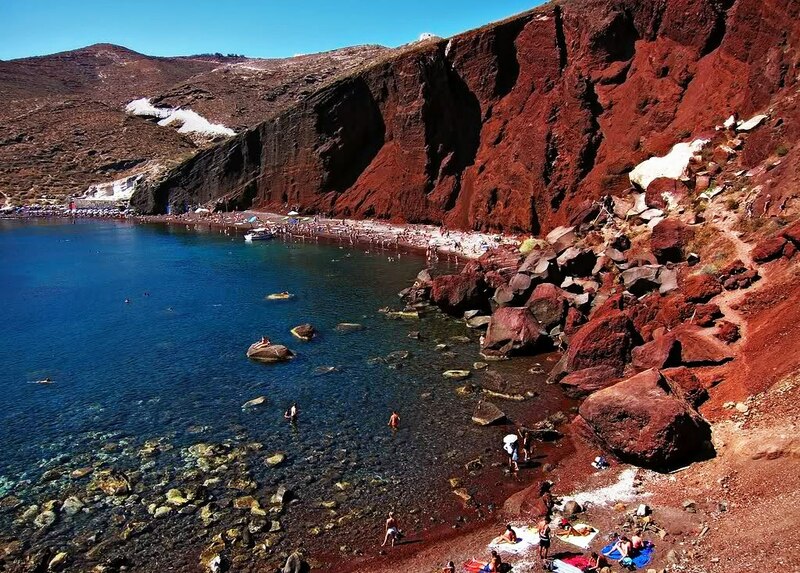 Besides, the volcano endowed Santorini with superb, unspoiled qualities: the colorful lunar rock formations, the peculiar beaches (with black, red, white sand and deep blue waters) and the excellent wine and gastronomy. 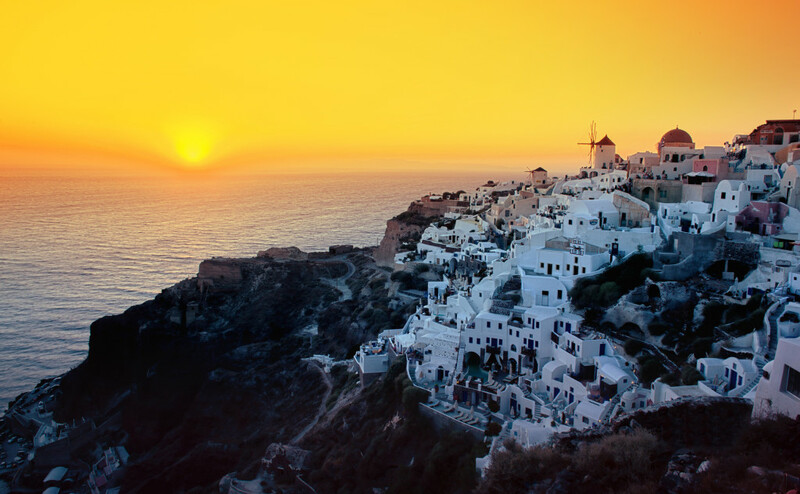 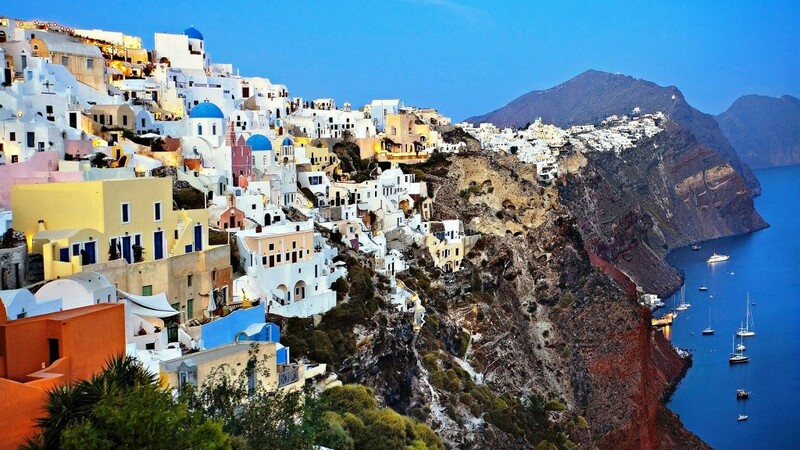 The islands’ capital, Fira, the picturesque Oia settlement, as well as the villages of Imerovigli and Firostefani, cling on a cliff, offering the best views found among all Greek islands, of both the volcano and the Aegean. 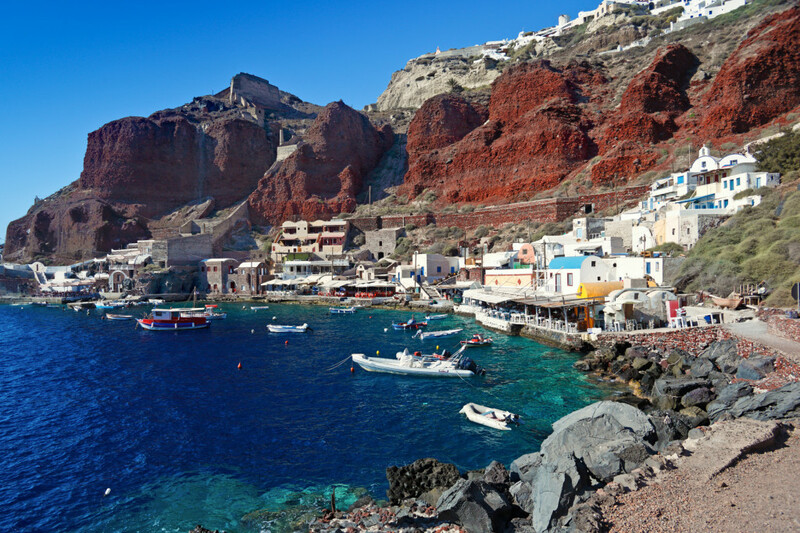 Fira is the outgoing, lively centre of Santorini, whereas multi-photographed Oia is sunset-famous and elegant. 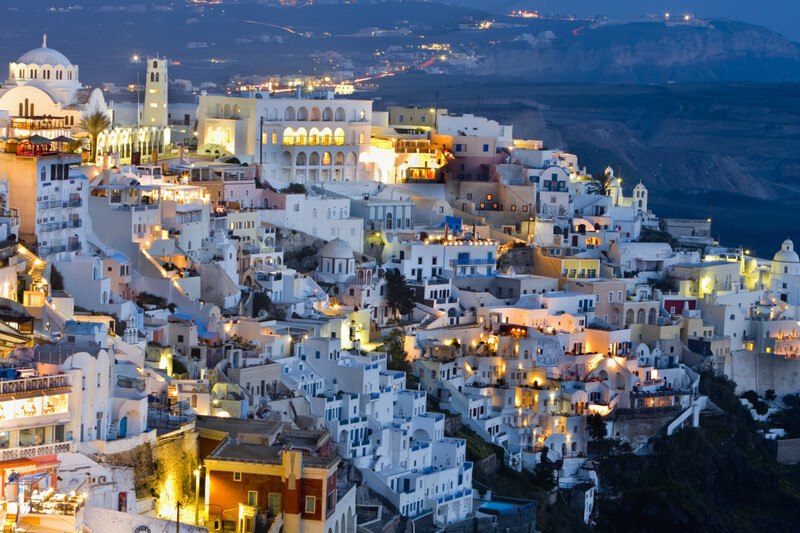 All settlements feature super-crowded cafes, bars and restaurants at their viewing spots. 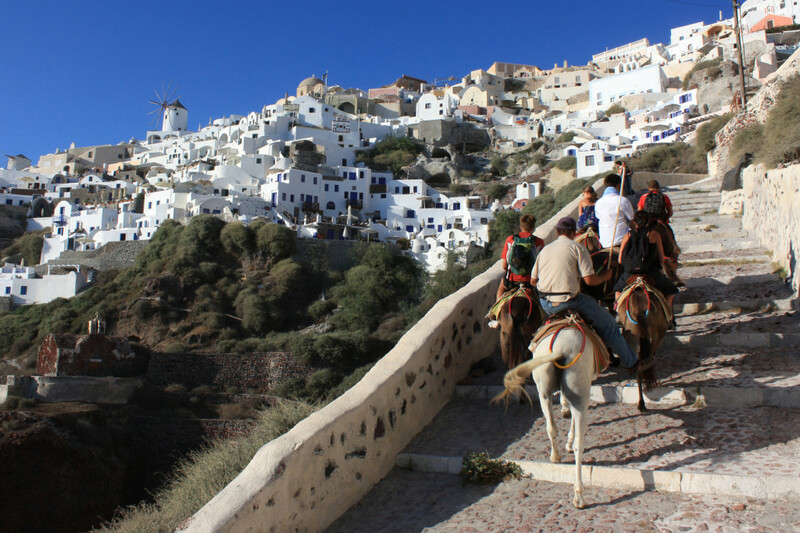 As for the rest, the white & blue houses and chapels, the donkeys that cross the narrow streets, the carved-in houses, captains’ homes and windmills create an incomparable Greek island atmosphere. 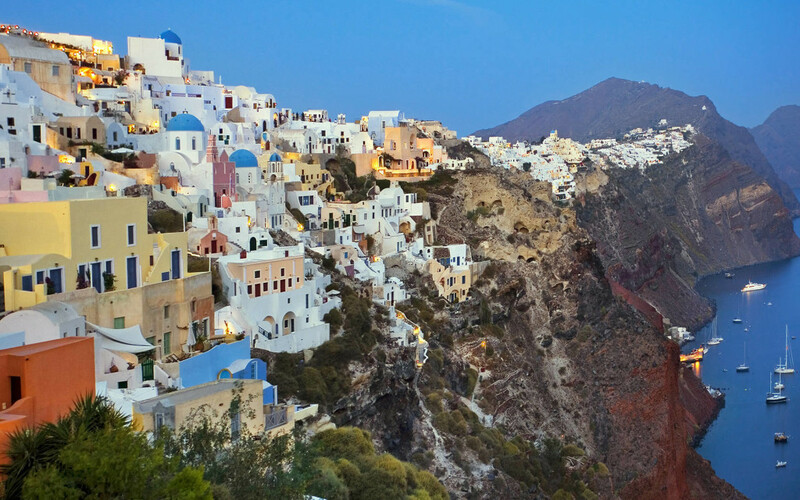 No wonder why Santorini resembles a unique work of art, a beauty shrouded in the eternal mystery of the Atlantis, eager to take your breath away. 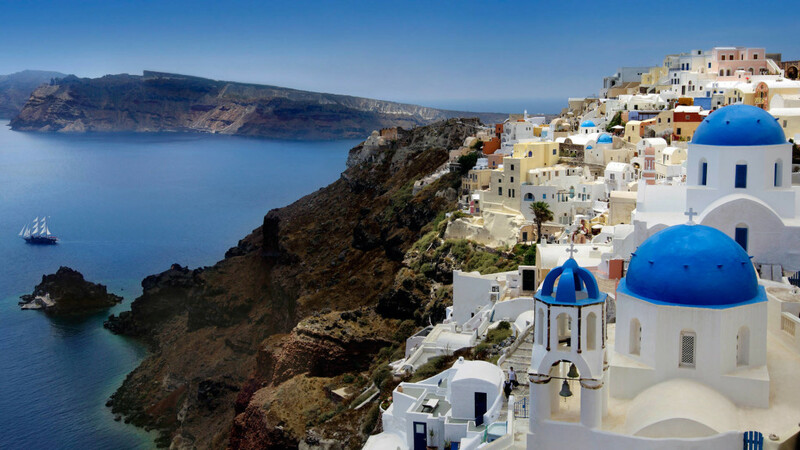 No text reviews of Santorini exist. 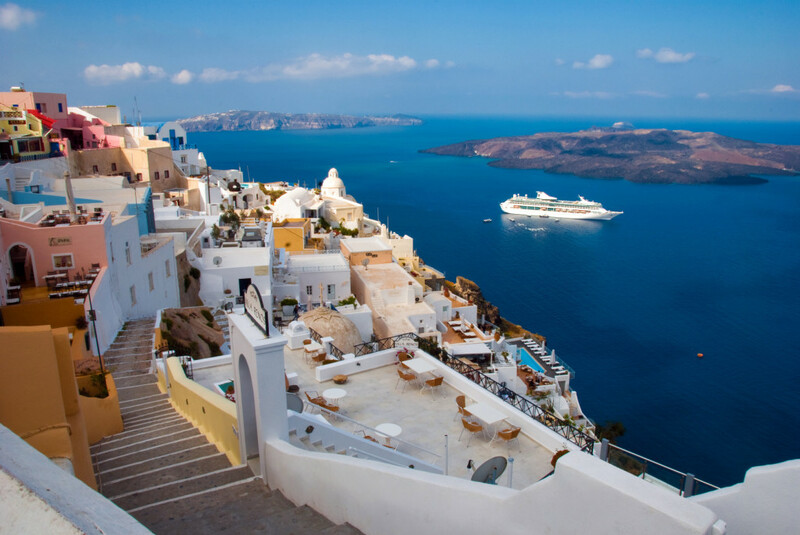 You can be the first one to review Santorini.